Trey Ingraham, 19, was shot and killed at his Daytona Beach apartment. Daytona Beach police said the two young men found dead in an apartment Thursday night are from the West Palm Beach area. Trey Ingraham and Jordan Paden, both 19, were shot and killed at Ingraham’s Daytona Beach apartment, although police didn’t find their bodies until Friday. “Trey passed away and I’m like, 'What?” said friend Jerrod Ferguson. Word quickly spread of their death, prompting friends and former teammates to post condolences on social media. “He was just so dedicated to whatever he put his mind to,” said Ferguson. The last conversation Ferguson had with Ingraham was making plans to workout when both would be visiting the West Palm Beach area. “He had another love for boxing,” said Ferguson. 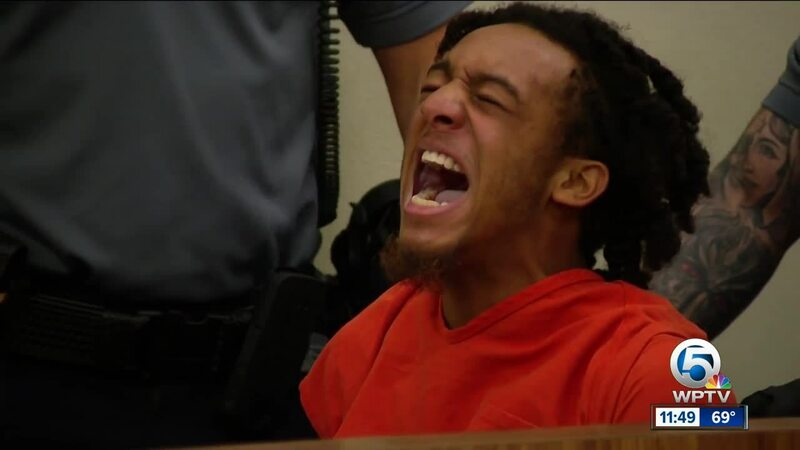 On Sunday, the suspect in the case, 19-year-old Damon Kemp, went in front of a judge where he was denied bond. At this time it’s unclear what led up to the killing. However, family members said Ingraham recently started helping the suspect, giving him a free place to stay. Despite Ingraham ultimately dying from his good deed, his mom believes the best way to honor him is to pay it forward to someone in need. “Don’t be selfish, if anything, just go out of your way and do something nice for someone else in Trey’s name how about that that’s what you do,” said Nerrissa Carter. Kemp remains at the Volusia County Jail on two counts of second-degree murder.